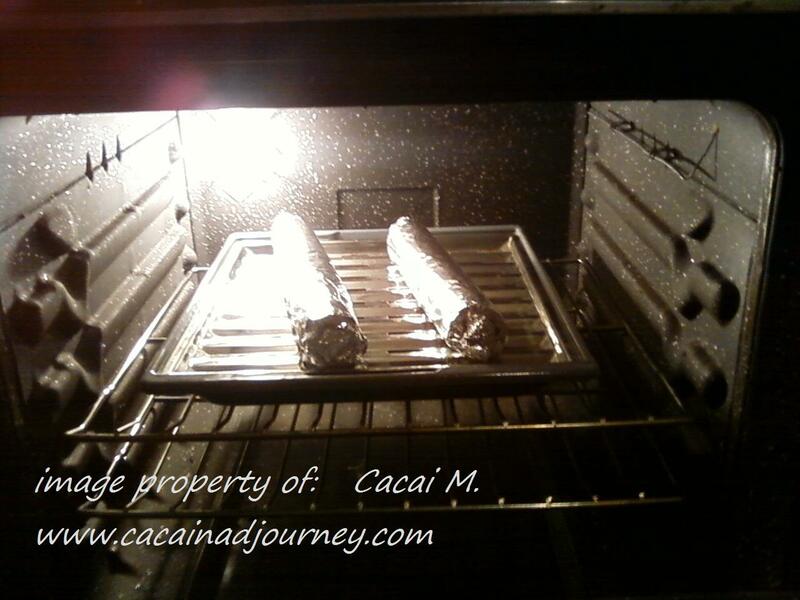 Cacai's StEps and JoUrNeY: My First Home-made "Embutido"
A friend of mine, Jocelyn W. , posted on her FB about what she cooked. Yes, you guess it right, it's "embutido" (sorry I do not know what's the English language of this food, if you know it would be greatly appreciated. Thanks in advance). I craved as I read her update. Right then, I told her if she could give me some, oops am just kidding, I told her if she could give me her recipe. The goodness on her replied on my inbox with complete recipe. Then I put it on my compilation of my hand-written recipes. "It's the next recipe I have to do" , told myself. I then began to gather the recipes. Days after I had my time after completing the ingredients, I can then proceed to the mixing and steaming up to the finished product. And so I did my first home-made "embutido" will share you the recipe next time (would you like?, just let me know). 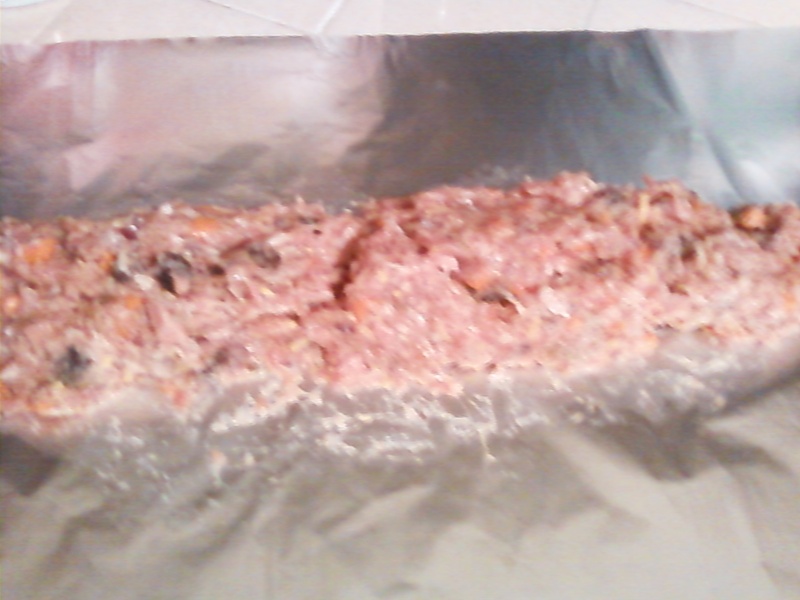 Embutido in a foil ready for the quartered hard-boiled eggs to put on it (picture on the left side). 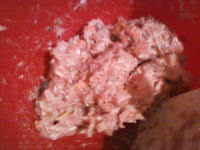 Some "embutido" mix is on the center image, ready to put in foil. On the right side image above is the full "embutido" mix (with quartered hard-boiled eggs as the finisher) off for the foil ready to be tightly folded or rolled. The next step after it is rolled on, is to tie each ends with a reliable tie so it won't be scattered. As the recipe went on. As I rolled it on, I preheat the oven to 375 degrees Fahrenheit with a hot water until boiling. Furthermore, I then put the rolled "embutido" in a foil into the steamer. And wait for one hour. And done! Ready to cool it off and put in refrigerator or eat. The very first image of this post shows the finish product. Acknowledgment to my friend for sharing me this recipe. Easy to make! mura man ug d first time...prof man kau ang result...what a success..wala pa bya ko sukad ka luto ana madam sis...meat loaf lang ako nahimo...lol!